I strongly believe that one of the most worthwhile things to do with grandchildren is to share books and stories. Not only is it enjoyable for both parties, it also helps to foster a love of literature, an interest in print and learning to read, and finding out more about our world. It’s hard to beat cuddling up together to share a book. 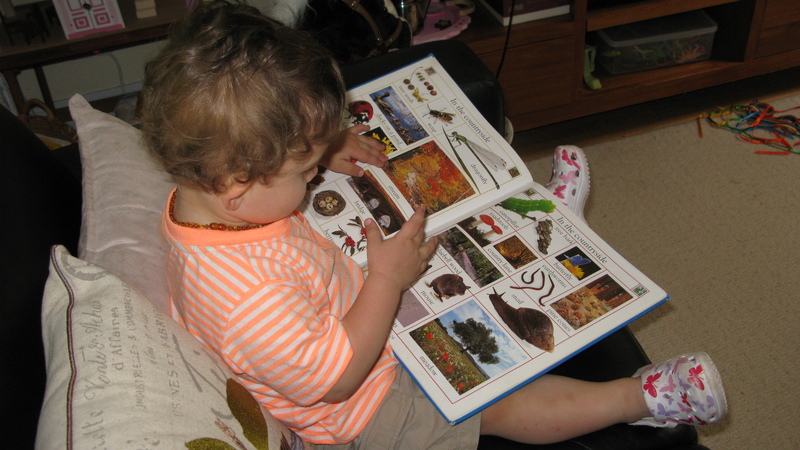 I have always read to and with my grandchildren from when they were babies but it is always wonderful to see a very young grandchild choose a book by themselves and then settle quietly to “read” alone. Many of the books freely available on my children’s bookshelf have been obtained from garage sales and local thrift shops. Inexpensive purchases but extremely valuable in their own way. My grandchildren love going to our local playground and we do it often, however, it is also great to explore new places. 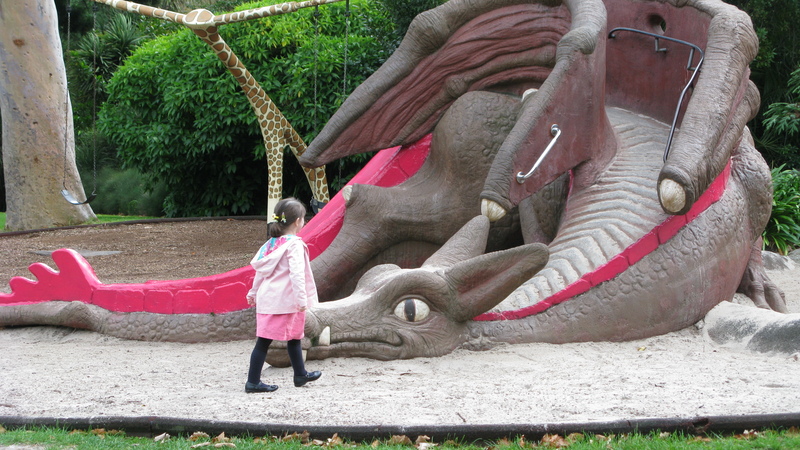 On a trip to the Fitzroy Gardens we discovered a small playground which had a dragon slide and a giraffe swing. What fun! It may be worth searching on the internet for playgrounds in your area (or getting out the local street directory!) to find a new playground to explore together. Living in a city which experiences four distinct seasons over the year (and sometimes all in one day!) I often talk with my grandchildren about the particular signs of a season. Autumn is the season when we look for mushrooms and toadstools growing in the garden or parks. 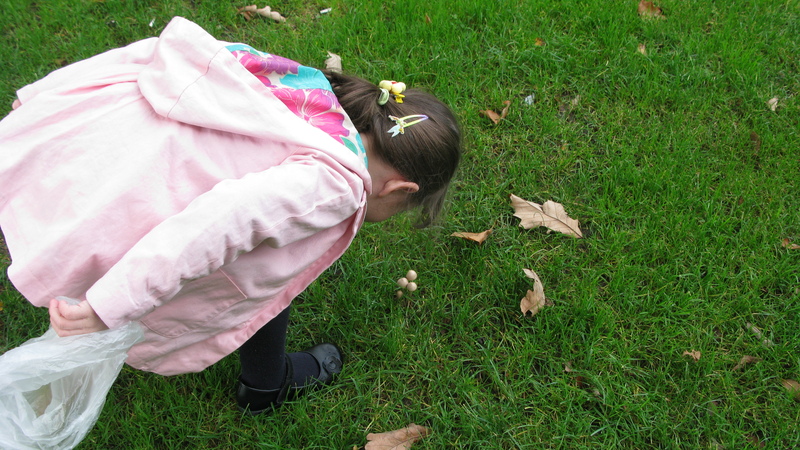 The children know that we only look at fungi, not touch them as some are very poisonous. We have also talked about how we only eat mushrooms that we have bought at a shop or market as there are many which look edible but are actually very toxic. On a recent trip to a large municipal park we found some toadstools growing in the grass. We wondered if perhaps fairies made their homes here, but on close inspection, my granddaughter decided there were no fairies living in these toadstools as she couldn’t see any doors or windows. Gorgeous! Two year olds love to try and help their parents and carers with daily chores. 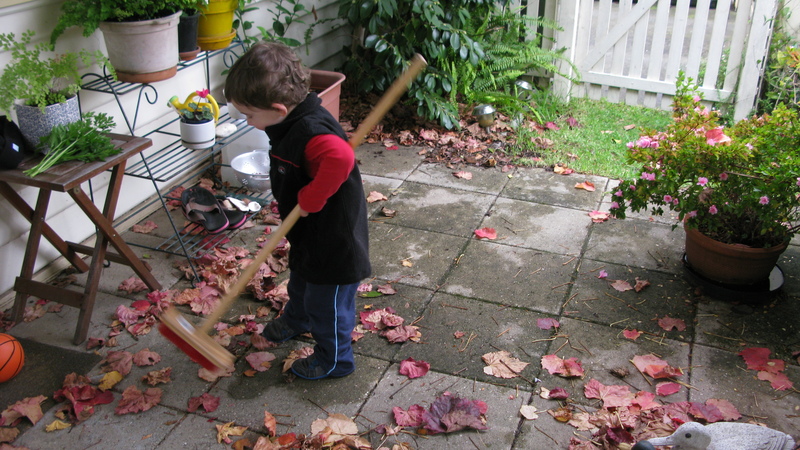 At my place, sweeping up the Autumn leaves is one such chore and my grandson gets right into the job! One of my best purchases over the years of providing care for grandchildren has been a small broom. It is just the right size for helping to sweep the terrace or front porch, and sweep gravel off the driveway. An added bonus is that it is very useful for reclaiming small toys from under the couch! In my home city we have just experienced a very mild Autumn. There have been many days when grandchildren and I have been able to enjoy the outdoors together and especially our beautiful parks and gardens. 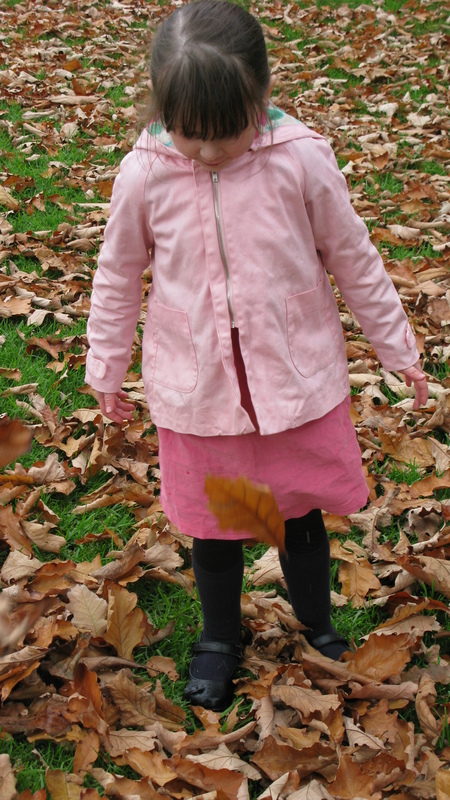 A trip to the Fitzroy Gardens on an Autumn adventure was great fun. On outings such as this we always take a small bag with us for collecting “treasures”. On this occasion we returned home with coloured leaves, seedpods and a pinecone. On returning home we used the “treasures” and adhesive tape to make an Autumn collage on a large sheet of light card.